Kanaki Toshikage was Yoshitoshi’s oldest student. 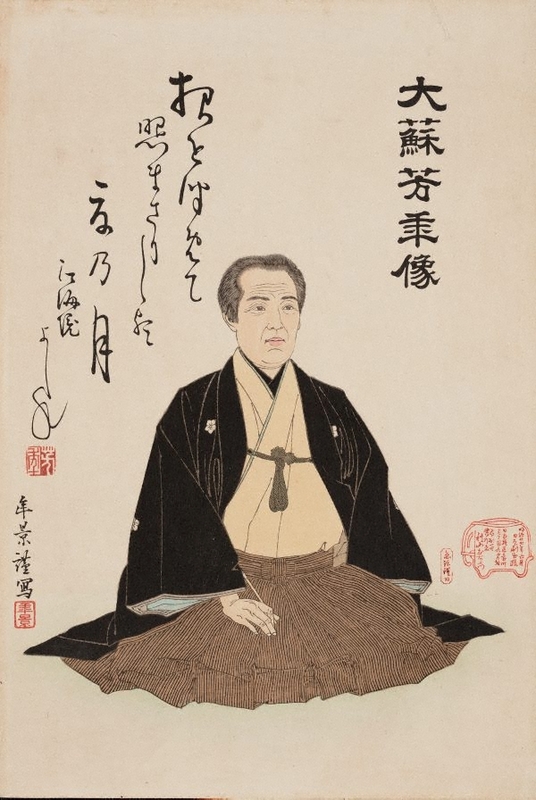 This memorial portrait was published by Akiyama Buemon and reproduced in the 'Yomiuri shinbun' on 22 June 1892. Yoshitoshi: masterpieces from the Ed Freis collection , Leiden, 2011, 135-136. Yoshitoshi Tsuki hyakushi (Yoshitoshi’s One hundred aspects of the moon) , Tokyo, 2010. Yoshitoshi's One hundred aspects of the moon , Seattle, 1992.